Whatever did we do to upset the weather gods? They threw everything at us during the 2012 Federation Festival of Croquet – dark clouds, heavy rain, high winds, thunder, even a few hailstones, before relenting their punishment to give us glorious sunshine for our presentations. This was the biggest Festival tournament to date and the 27 teams representing 9 clubs seemed to agree it was also the most enjoyable. The Southport club take great pride in hosting this event and provided an environment that would be difficult to better. The amount of work involved in preparing and setting out 15 lawns each day is staggering not to mention the awesome standard of catering which served about 80 players daily. The infamous North Lawns were in their best ever condition demonstrating the progress made since the club took full responsibility for their maintenance earlier this year. 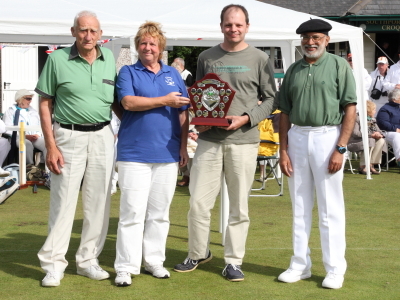 The opportunity to meet so many croquet players from across the region in one event makes this Festival unique and continually reminds us why we have a strong North West Federation – together we succeed in making Croquet a competitive endeavour played in a spirit of great friendship.The Golf competition was won by Pendle who won all their matches. 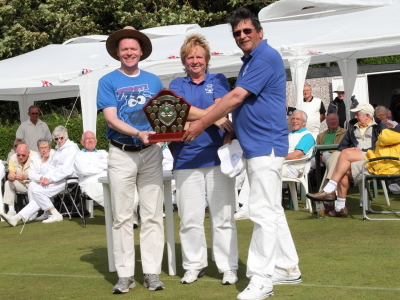 Similarly, Westmorland won the Handicap competition , remaining undefeated in this event. 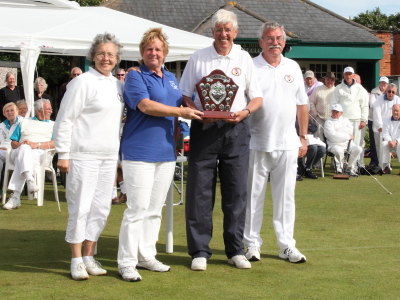 Llanfairfechan only lost one of their Short matches to take the Short trophy. In a tense final match, Fylde won the Advanced shield (for the second year running).Team performance in each event gains points to determine the championship club. 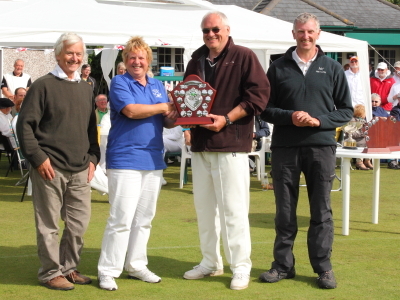 By a small margin Pendle were declared 2012 Festival Champions with Westmorland a close runner up. All decked in colours, red and blue. Gazebos raised defied the rain. And sure enough the rain it came. The sun shone to light the winners’ face. Brilliant poem Kath – and you even managed to find something to rhyme with ‘Llanfairfechan’ ! Great. We all had a wonderful, happy weekend. Thanks to everyone at Southport for all their hard work and a big ‘thank you’ to Margaret and her team. Hope she approves of the photo I took. First time contributor, long-time reader of this website. I was moved to write after reading the poem on this page. What a wonderful piece of work! There’s so much information everywhere these days and this is a magnificently different way to present an event report. You should be commended, Kath, for this great poetic account of what was clearly a wonderful spectacle for all and sundry. I hope to see your work in the local paper one day.